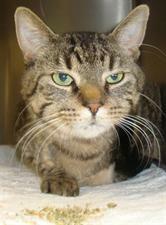 Lovable tiger cat seeks permanent home. Found by the local dog warden, Harry was found with a severely injured front leg that we had to amputate. We believe the injury was a result of a fanbelt when the weather got cold and Harry was looking for a warm place to hide. He loves other cats and doesn't seem to mind dogs. If interested please call us. Please contact Southington Veterinary Associates at 860-621-9328 if you're interested in adopting Harry. Bo is a domestic medium haired feline who loves to play. He's about 1 1/2yrs old and once he's comfortable he's very playful. Absolutely beautiful he deserves to have a nice home to roam around in! Please call if interested. 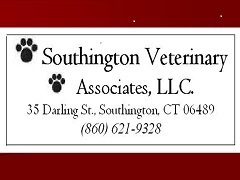 Please contact Southington Veterinary Associates at 860-621-9328 if you're interested in adopting Bo.